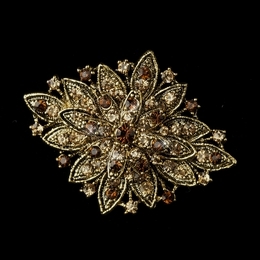 Our "Singing in the Rain" necklace has a rhinestone-studded centerpiece with a larger, pear-shaped topaz (light brown) crystal drop. 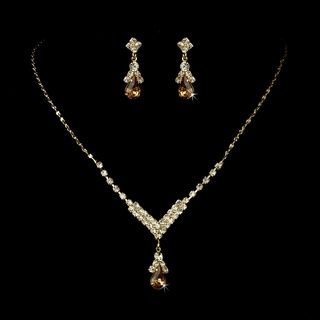 This lovely gold-plated set is sure to dazzle on your special day! We offer this set in a variety of other colors for bridesmaids, proms, birthday gifts, and more!